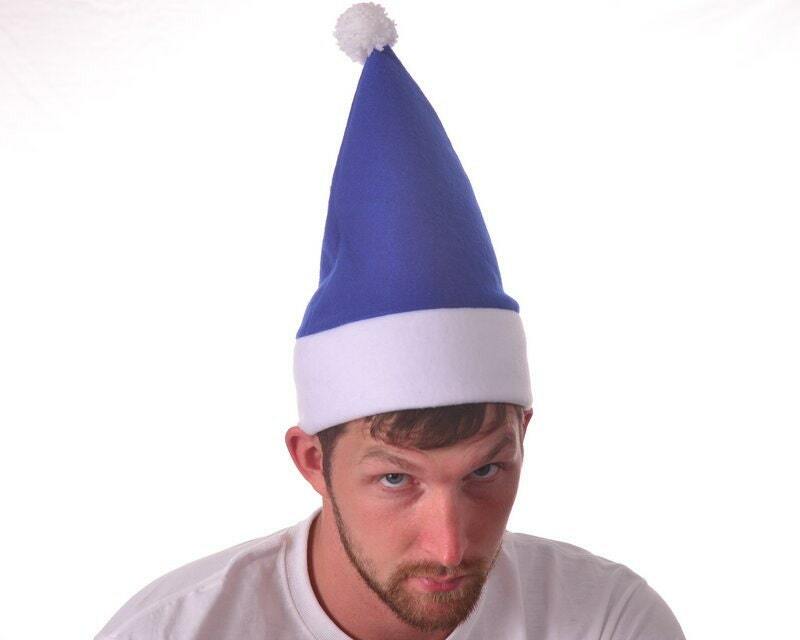 New style for the 2013 holiday season bright royal blue tall elf hat. Measures about 14 inches tall. 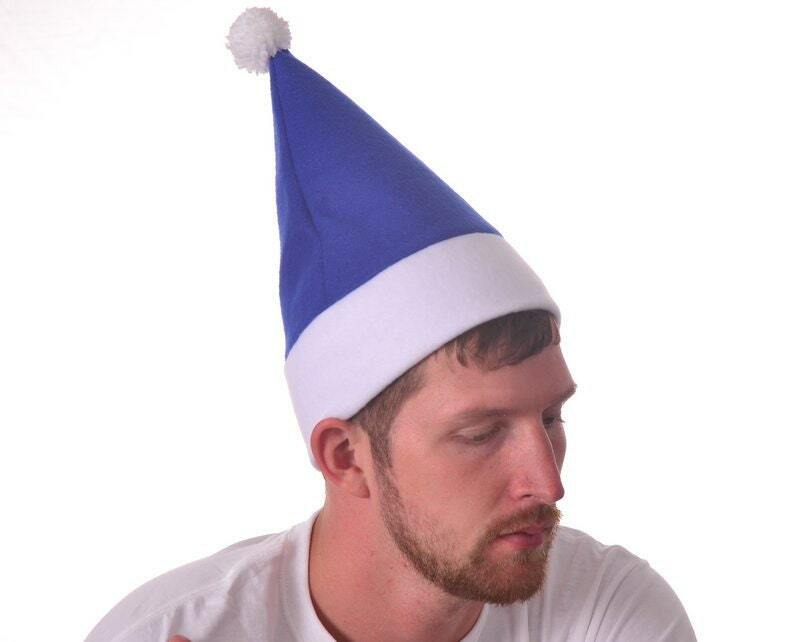 This hat has a blue body. The white headband is double thick. White pompom on tip of point. 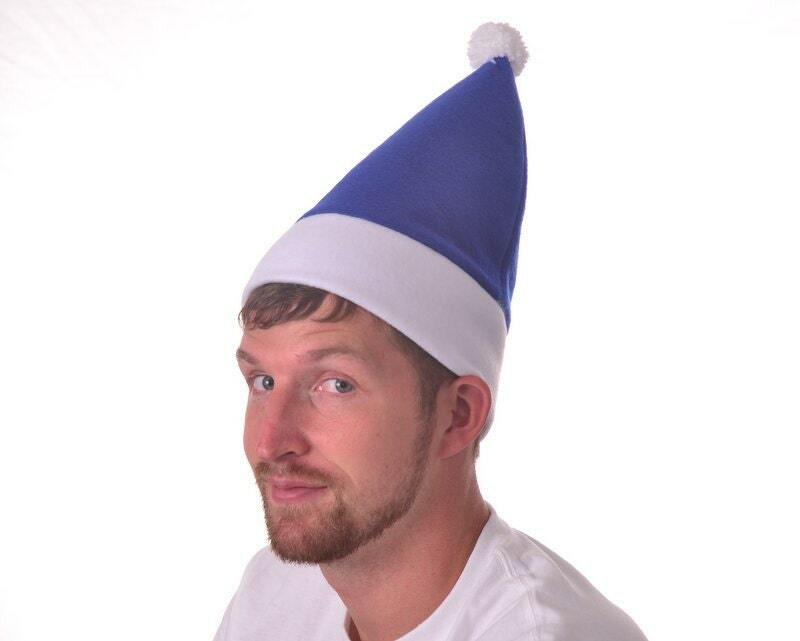 The top portion of this hat is reinforced with interfacing to make it stand. The bottom portion is stretchy fleece. 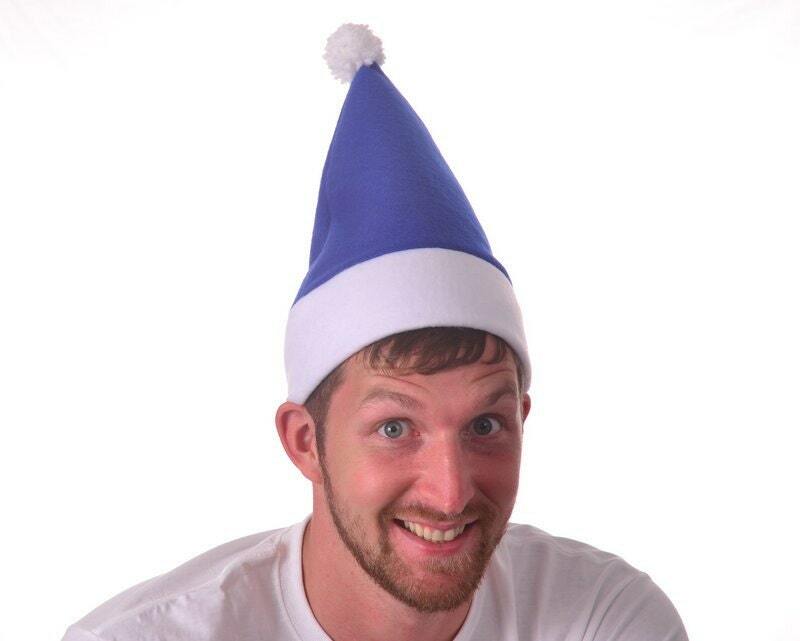 This hat fits men and women with heads measuring 22-24.5 inches.